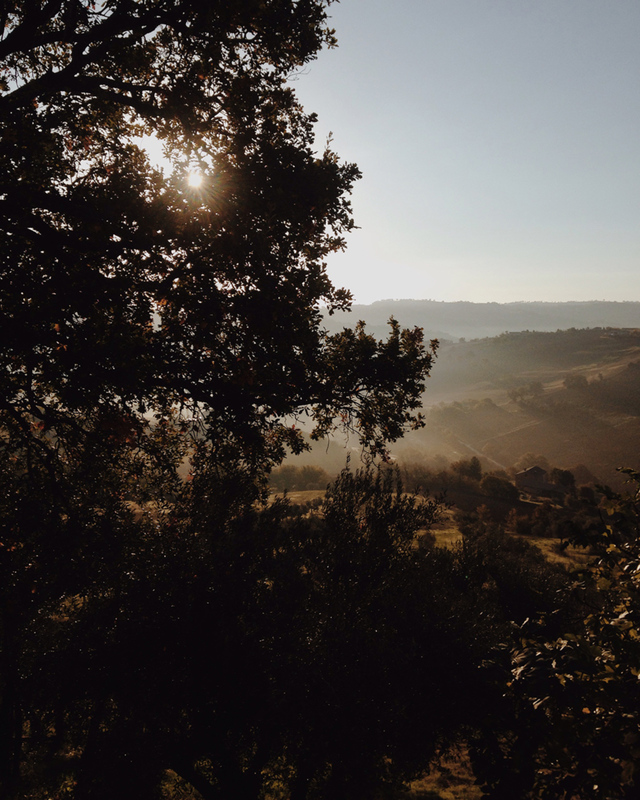 At home in Le Marche, November 2015. Gardening in June. One summer is such a short time to see progress but I guess that is the charm of gardening, too. You cannot fast things forward. Nature takes its time. Italy used to be a work destination for me. I liked it much less than Paris where I also traveled often. That is, until I got to know the real Italy. Traveled around – or outside Milan at least! – and got to experience the culture and traditions in different areas. And the people. 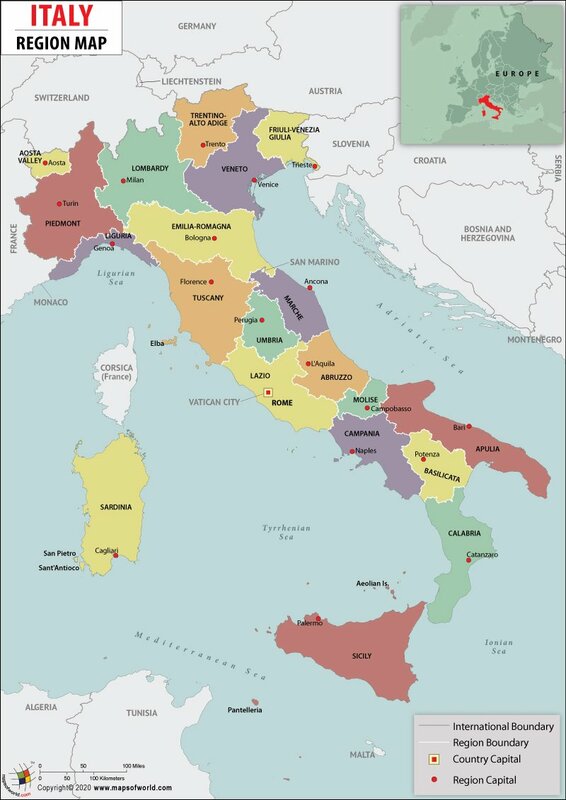 My Italian home is in Le Marche. Like Tuscany, it is pittoresque and beautiful region in the middle part of the boot. Unlike Tuscany, it is totally uncool and secluded, still. 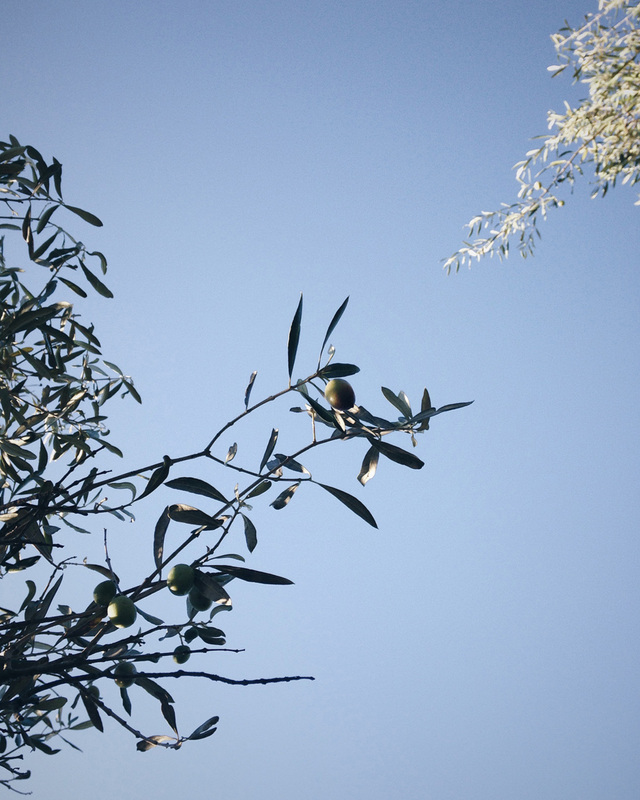 We live in the countryside surrounded by grain fields and olive groves and farms and country houses. We do not have any hip stores or restaurants close by. But we do have fantastic restaurants. Fantastic food. We also have some very original shops, like this one we sometimes buy garden stuff from. We do not know the name of the store (which tells a lot) but we call it ‘the Farmers’ Ikea’. 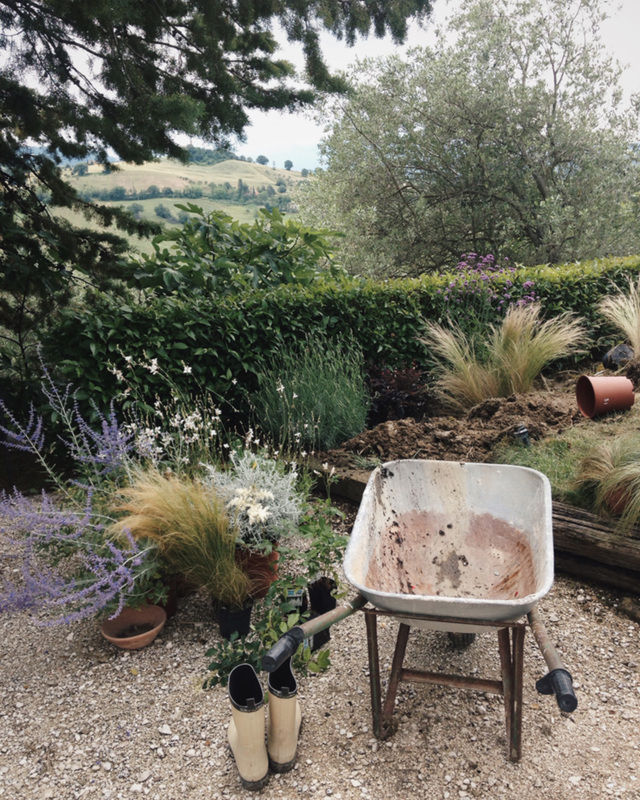 Italy is where my garden is and my weird stone and shell collections are and where my bedroom view is dreamy and where you cannot water the garden and take a shower at the same time because the water pressure is what it is. Italy is where we live closer to nature – flowers, herbs, vegetables, fruit trees, olive trees, ants, spiders, scorpions, fireflies, butterflies, bats, birds, boars – and where my man seems most relaxed and happy (although, maybe it’s his casual wardrobe and unshaven face that makes me write this, because I think he is quite relaxed and happy all the time). Italy is where we live closer to stars too. Or if not, at least it is dark enough to see them. The sky is amazing, every night. 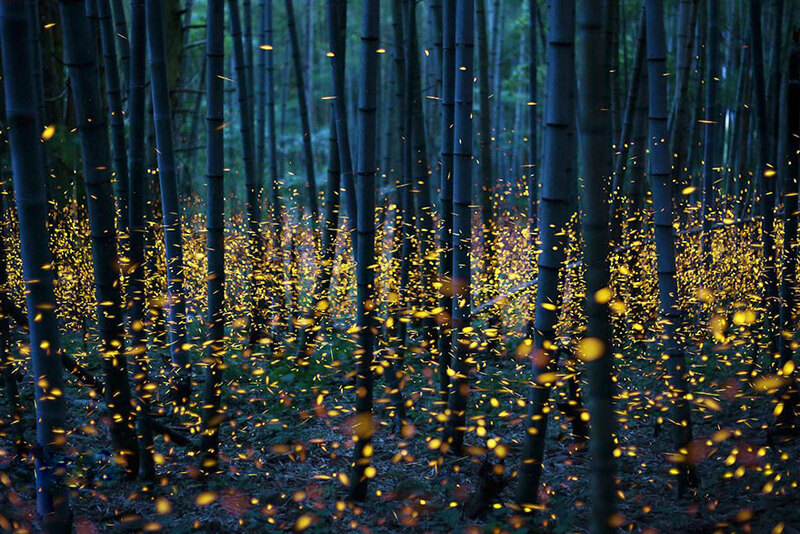 The fireflies are amazing in May, June, beginning of summer. Besides living in Italy, I love traveling in Italy. It is so easy. There is so much to see. There is so much to eat. The prices are reasonable. It is beautiful everywhere and the service is flexible. One of the best ways to describe the Italian service is the phrase ‘come no’ that you will hear all the time if you pay attention. It translates ‘why not’ but the meaning is closer to ‘absolutely’. Sometimes things get delayed, schedules are never as exact as, say, New York, Helsinki or Tokyo, but things also always work out. They always work out. Very few things are forbidden. Very few things are considered as problems. Children and pets are greeted warmly on the streets and restaurants by total strangers. The overall atmosphere is kind and loving. I believe in some type of natural flow of things and in Italy you can totally sense that flow. People respect the nature of things and the natural rhythm of things. This is built in the collective mood. That is why there are, and will be, so many features of Italy here in Minutes. I am totally in love with the country because it is just so easy to love.